The purchased ticket was a bargain. It’s cheaper than buying over there. We bought 2 way cable. It’s worth. The passage on the wall was steep and not easy to leisure. Exhausted to climb!!! So cable does save life ^^ To go there, it’s better to get No.919 bus - We took bus no.877 and have to walk a long ling way to go to cable. 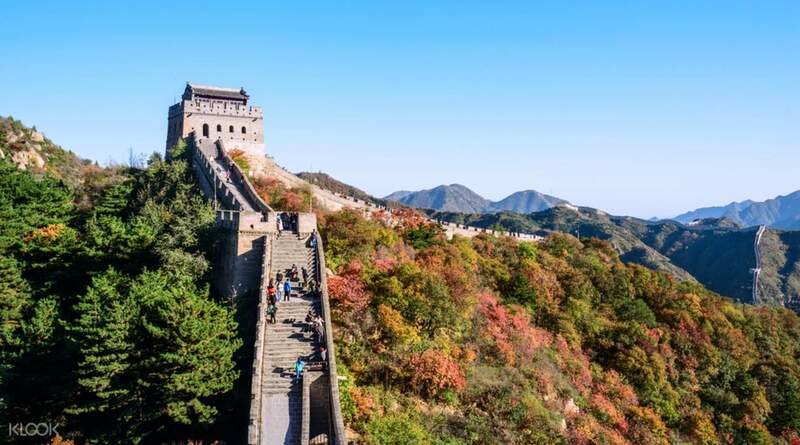 Badaling is the most popular section of the Great Wall of China, largely due to to its accessibility - it is close to Beijing and is easily reached with public transportation. Other added features such as smaller stairs, handrails and cable cars make it a great option for all visitors! The cable cars bring you to North Tower Eight, the highest point in the area and a perfect spot for photos: it is the best area on the wall to watch the sunrise or sunset and to observe how expansive the wall is as it snakes around the mountains. This trip is a treat for anyone, but the history buffs will get a real thrill out of this tour! 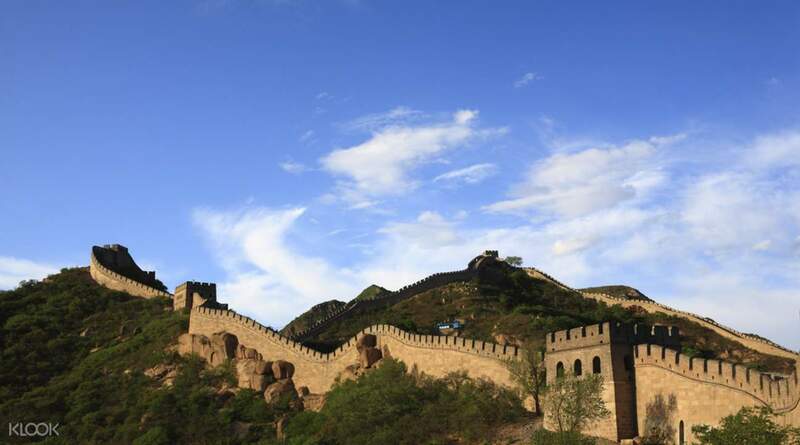 Going to Badaling lets you relive the lengthy history of the Great Wall: you will see and explore the watchtowers that were used to communicate and store supplies, as well as observe the tiny holes drilled into the wall that were used to spy on enemies and to shoot arrows through. Walking on the wall gives you a real feel of the battles that it witnessed, particularly how it was reinforced during the Ming Dynasty to prevent the Mongols from entering Beijing. This section of the wall is also conveniently located near the Great Wall Museum, where you can learn even more about the site. 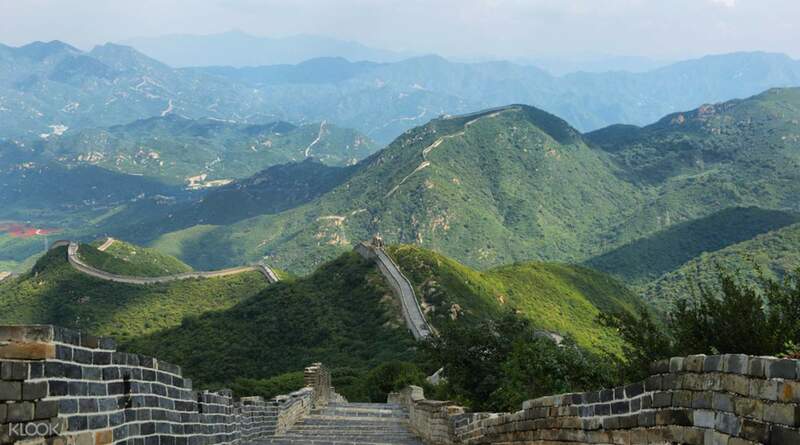 A journey to Badaling gives you an unrivaled experience of the Great Wall and is a must try for any traveler, especially for first timers to China! The purchased ticket was a bargain. It’s cheaper than buying over there. We bought 2 way cable. It’s worth. The passage on the wall was steep and not easy to leisure. Exhausted to climb!!! So cable does save life ^^ To go there, it’s better to get No.919 bus - We took bus no.877 and have to walk a long ling way to go to cable. The purchased ticket was a bargain. It’s cheaper than buying over there. We bought 2 way cable. It’s worth. The passage on the wall was steep and not easy to leisure. Exhausted to climb!!! So cable does save life ^^ To go there, it’s better to get No.919 bus - We took bus no.877 and have to walk a long ling way to go to cable. This activity requires a full day. It takes 2 hours to get here by train from the downtown area. We spent more time traveling to get here and back than at the wall but this activity is a must! The ticket office to redeem the tickets was difficult to find. Use the ticket office at the main entrance of the cable car building. Do not go to ticket offices outside of the main cable car building as they will mislead you to the wrong ticket offices (we went in circles for a half hour finding the right ticket office). We went on a Tuesday afternoon and there were a lot of people. The tickets are for the cable car and Badaling wall entry. Besides the difficulty to redeem the tickets, the activity was great. This activity requires a full day. It takes 2 hours to get here by train from the downtown area. We spent more time traveling to get here and back than at the wall but this activity is a must! The ticket office to redeem the tickets was difficult to find. Use the ticket office at the main entrance of the cable car building. Do not go to ticket offices outside of the main cable car building as they will mislead you to the wrong ticket offices (we went in circles for a half hour finding the right ticket office). We went on a Tuesday afternoon and there were a lot of people. The tickets are for the cable car and Badaling wall entry. Besides the difficulty to redeem the tickets, the activity was great. No hassle at all to redeem the tickets ! Strongly Recommended to take tourist bus line No.1 (旅游公交1号) at QianMen with RMB 20 only/pax/way. The bus station is just right in front of QianMen Commercial Walking Street. Take subway to QianMen station, get out from Exit C, walk across the road, u will see the bus station on your right side. The bus PIC lady will ride on the bus as well to great wall, at the meantime she will explain a lot of history behind every famous building in China, and teach us how to reach the tourist spots by using the cheapest way without getting con. (*NOTE: U'll pass by “Beijing Tourism Distribution Center” counter which located in front of the subway, please don't ask from them, they will ask u to buy a package including of lunch to great wall, which the ticket charged very expensive). After arrival, dont go to the ticket counter outside, straight head to the cable car counter window No.1 in the building, they will hand u 2 tickets (great wall+cable car). There is a free photography for every customer on the return trip of cable car, so dont miss it, and redeem it at the counter ! No hassle at all to redeem the tickets ! Strongly Recommended to take tourist bus line No.1 (旅游公交1号) at QianMen with RMB 20 only/pax/way. The bus station is just right in front of QianMen Commercial Walking Street. Take subway to QianMen station, get out from Exit C, walk across the road, u will see the bus station on your right side. The bus PIC lady will ride on the bus as well to great wall, at the meantime she will explain a lot of history behind every famous building in China, and teach us how to reach the tourist spots by using the cheapest way without getting con. (*NOTE: U'll pass by “Beijing Tourism Distribution Center” counter which located in front of the subway, please don't ask from them, they will ask u to buy a package including of lunch to great wall, which the ticket charged very expensive). After arrival, dont go to the ticket counter outside, straight head to the cable car counter window No.1 in the building, they will hand u 2 tickets (great wall+cable car). There is a free photography for every customer on the return trip of cable car, so dont miss it, and redeem it at the counter ! less hassle.. just go to the ticket center near the cable car and its a go from there. its a nice experience. less hassle.. just go to the ticket center near the cable car and its a go from there. its a nice experience. The cable car ride was fine. The ride can be on the north or south side although it is not clear which side is which nor is there any indication that there is any choice. The from the parking lot, you must grab the bus, which in Chinese fashion, is stuffed unnecessarily full with people standing. Arriving at the ticket booth, you are met with the standard chaos and employees barking commands through loud speakers despite there being only a few feet between them and you. Ignore the ticket counter and go into the main building to collect your ticket. You will receive 2 - one for the cable car and another for the entrance. The cable car ride was fine. The ride can be on the north or south side although it is not clear which side is which nor is there any indication that there is any choice. The from the parking lot, you must grab the bus, which in Chinese fashion, is stuffed unnecessarily full with people standing. Arriving at the ticket booth, you are met with the standard chaos and employees barking commands through loud speakers despite there being only a few feet between them and you. Ignore the ticket counter and go into the main building to collect your ticket. You will receive 2 - one for the cable car and another for the entrance. Please make sure that you redeem your voucher at the Cable Carticket office for. When I get there, the lady at the ticket booth refused my voucher. Then I asked another lady and she handed me the tickets without saying anything. Since I came on winter, I need this cable car ride. Please make sure that you redeem your voucher at the Cable Carticket office for. When I get there, the lady at the ticket booth refused my voucher. Then I asked another lady and she handed me the tickets without saying anything. Since I came on winter, I need this cable car ride. The day we went, air cable car service was interrupted due to strong wind, resumed by 11am. If encounter such condition, can choose to use land cable car. The day we went, air cable car service was interrupted due to strong wind, resumed by 11am. 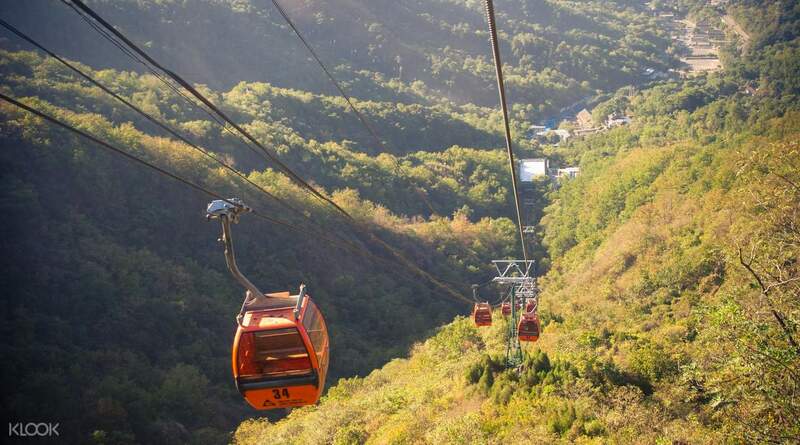 If encounter such condition, can choose to use land cable car.